As mentioned on our previous podcast (still available!) we shall be in attendance at the very exciting Stand-Up For The Alternative gig happening Sat 26th March at an unspecified location on Oxford Street. We are certain that location will be a tax-dodger however, with this part of an afternoon of planned occupations by those brave boys and girls with UK Uncut, who initiate direct action protests to highlight the harm government cuts to public services are having on British culture and society, as well as raising awareness of very real alternatives to cutting the deficit, ie tighter financial regulation and increased taxation on the super-rich businesses and banks operating in and from the UK. Meeting at 2pm in Soho Square, the group will be taking over a store or bank along with a group of comedians (including Josie Long, Mark Thomas and Chris Coltrane) to make us laugh the cuts away. Or teach us about things. Or something. Solid-hilarity. SH!T THEATRE – Witty political satire in song form! Following the success of the first UK Uncut comedy bail-in at Barclays Bank, Tottenham Court Road – http://www.ukuncut.org.uk/actions/293 – where the wonderful Josie Long, Chris Coltrane and Ian Saville (the socialist magician) entertained us all as Bob Diamond (CEO Barclays) enjoyed a £9m bonus, we’re once again bringing the funnies and taking back the banks. 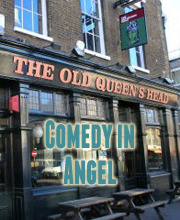 Meet in Soho Square near the east entrance at 2pm, where we will head to a venue TBC and turn one of the high street’s most (un)popular banks or stores into a comedy club. So come along! And meet us too.